Travel is about so much more than bagging sights. It’s about the experiences: your interaction with locals, other travelers….and yourself. More so, traveling in South East Asia is showing me that different destinations seem to address different senses. The little of Malaysia that I know appealed to my sense of taste – what with the delicious offer of Malay, Chinese and Indian cuisine. Laos, in turn, was essentially a visual experience, replete with breath-taking sights. And Thailand managed to touch my heart as my taste buds eventually got used to the spices. Hot food, cool heart – jai yen yen. What I saw of the Philippines often struck me as beautiful: the waterfalls, the turquoise waters of Palawan, Moalboal or Siquijor. But, in retrospect, what was special about the Philippines had to do with the sense of hearing. Most notably, of course, the music. 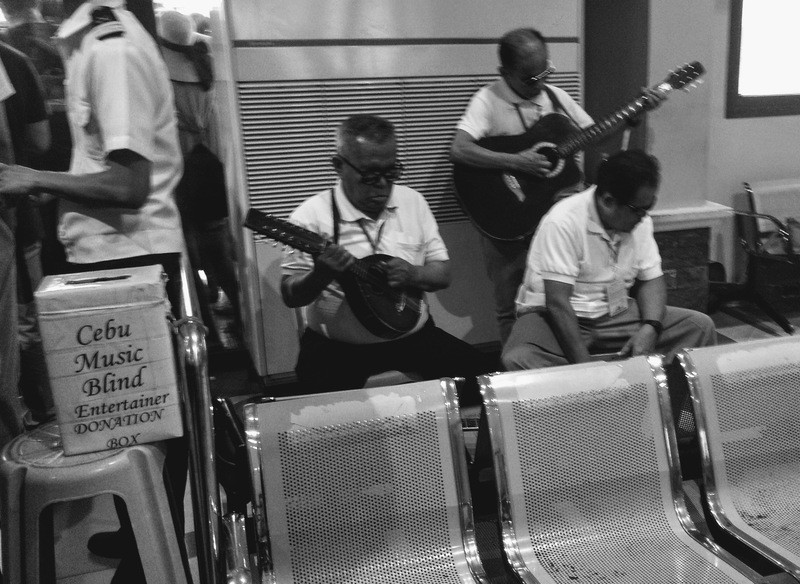 I didn’t know, but Filipinos are essentially musical beings. The hotel clerk in Cebu who started singing along to the song on the radio as soon as she’d handed me the room key. The teenage kids blasting metal from a humble house in an Anda barangay. The teenage band playing reggae covers in Port Barton, Palawan. They dance, too. I saw hip-hop dancing on the streets in Dumaguete, and something resembling Zumba in the park surrounding San Pedro Fort, in Cebu. Young, intense, talented kids in all cases. And the karaoke, of course. During the day, at night, in beach cabins, in empty parking lots – usually wolfing lechon and downing bottles of Tanduay rum and coke. I ate their food and drank their booze, but never did I gather the courage to step up, get a hold of the mic and sing away.